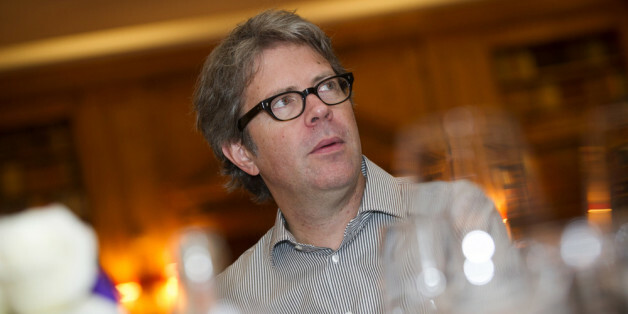 Jonathan Franzen is a novelist and author of "Freedom" and "The Corrections." He spoke with Nathan Gardels, editor of The WorldPost, about his most recent book, "The Kraus Project." WORLDPOST: As you document in your book, Karl Kraus was a critic at the turn of the 20th century in end-of-empire Vienna who aimed his barbs at the then emergent mass media of newspapers and the ephemeral, "subjective" self-expression of the feuilltons, or "small pages." It was here that the media first became a marketing platform selling blog-like personal impressions and celebrity of the kind we might today associate with Kim Kardashian or Lady Gaga. In his own publication, "The Torch," Kraus sought, in contrast, to note "the chords of eternity in the noises of daily life" as a way to resist the trivialization of culture. For him, that required time, depth and deliberation, not homogenous flattening and accelerated production of whatever is new to get attention. As you suggest, Kraus's worries were only a dim premonition of what the tech-driven new media is becoming in our consumer societies. What are the consequences for culture of what you call "the infernal machine of techno-consumerism?" FRANZEN: We don't know what the consequences are going to be. I take some pains to say I am not anti-technology. Technology gave us the flying buttress, the printed book and antibiotics. The Web is an amazing research tool and a great way of coordinating people all over the world to work single-mindedly on any number of tasks. But what I saw coming already in the 1990s with the first wave of techno-utopianism -- when the Internet was supposed to bring world peace and the free exchange of ideas -- was that, inevitably, it was going to become commercialized. That is exactly what has happened. The Internet and social media have been co-opted into selling. One of the consequences is that the world of consumerism, of selling and selling yourself, has worked its way ever more deeply into the minute by minute fabric of daily life.
" One of the consequences is that the world of consumerism, of selling and selling yourself, has worked its way ever more deeply into the minute by minute fabric of daily life." Everything becomes data. You can't go to a bar with friends without that becoming "data" about you, the bar, and what you're drinking, which then finds its way into someone's marketing scheme. That's the dominant paradigm now. What's amazing about this paradigm is that it's managed to persuade the people who buy into it that they're somehow rebelling against the dominant paradigm. WORLDPOST: As Eric Schmidt of Google has said, social media is "intrusive by design." So, not only attention, but relationships, can be monetized. That is the lucrative new frontier of what you call "restless capitalism." Social media is becoming more of an advertising platform than a communications media. FRANZEN: Exactly. It seems to me that we've just accepted all this as free market capitalism's victory on the world stage. Not bad, perhaps, compared to the catastrophes of the 20th Century. Yet, there is something undeniably totalitarian about the combination of mass media, Web and social media, in that you can no longer choose not to be in a relationship with it. "There is something undeniably totalitarian about the combination of mass media, Web and social media, in that you can no longer choose not to be in a relationship with it." A lot comes with that. What formerly might have been an expressive act has now changed fundamentally. If I have an opinion, great! Here is this free medium. I can just put it out there with no barriers between myself and my audience. I can just publish. That's great in theory. And some worthy writers have found an audience that way. But what was once conceived as an act of expression is now an act of self-promotion. So now everyone is comfortably self-promoting -- they have to, because everyone else is. And meanwhile, most of this expression is unpaid. In a world where it costs nothing to live, that might work. I remember a world where you got paid, if not much, for writing. Now, nothing. How can a writer build a career on that? In my mind, there's a larger corollary here -- a world in which a few people have everything while the middle class and the prospect of upward mobility disappears. Wealth is concentrating in a small number of hands that control the various platforms. The rest of us are just data for sale. It's time to realize that the benefits of monetizing people's relationship are mostly not flowing to the people being monetized. WORLDPOST: Further, those who own the Cloud, which can store every recorded click or Google search or adolescent indiscretion on Facebook, will now possess our memories and our connections. As Schmidt also says, "The impact of the data revolution will be to strip citizens of much of their control over their personal information." In short, we are their product. Privacy is becoming a vague regret. Is this what you mean when you say the Internet is "creating the conditions for personal apocalypse" instead of the means for self-realization? FRANZEN: Corporate ownership of our memories and relationships is only part of the story. There's another aspect of the intersection of technology, consumerism and the rapidly changing global economy that's deeply troubling. Things are changing incredibly quickly. Already, more than a hundred years ago, when the pace of change was still quite slow by today's standards, Marx observed that "all that is solid melts into air." Today, and as tomorrow arrives, it's possible to imagine the future as a state of perpetual anxiety. There may be a few lucky winners who go to Stanford, invent Instagram, make billions and are set for life. But even they, I think, after they cash out, will be living anxiously in a world that was shaped one way but will be changing altogether again every five minutes. The rest of us will just have to cope as best we can with the anxiety of constant upheaval. Any values that might have seemed consistent over a whole lifetime are now subject to overnight change. That can feel apocalyptic: the world I knew ten years ago has now completely changed. We were just getting used to MySpace, and then Facebook came along. And now Twitter. And the job you had at the bank is now done by an ATM or on a mobile device. As for my own sense of personal apocalypse, if you grew up, as I did, reading books, a career in writing was imaginable. You would spend time by yourself and work hard to produce a text. Someone else would then pick it up, spend time alone with it, and have an experience with it. That's been replaced by the short-attention-span-snippets-of-things- with-no coherent-narrative, flavor-of-the- minute culture- or, "anti-culture." This may be a good thing or it may be a bad thing. But if you care about sustained narrative, and if you value reading as a way to have an experience, rather than as a way to gather data or to have your stimulation buttons pushed, the change can feel apocalyptic. When I look at the levels of rage online and the attractions of the vindictive parts of interfacing with technology, it's hard not to think that people are anxious and upset because all that is solid is melting into air. When you feel things slipping out of control, you get mad, or you keep yourself constantly stimulated so you don't have to think about it, or both. It's infuriating to hear all this endless disruption and anxiety, at whatever social cost, being celebrated as a new leap into personal freedom by the people who are making money on it hand over fist. WORLDPOST: What you say reminds me of the poet Octavio Paz, who condemned "the modern arrogance that thinks only in terms of the velocity of time." Even before the Internet he linked the idolatry of change and speed with the society of the spectacle: "The ancients had vision, we have television. We live tied to what is new, and it doesn't matter what it is as long as it is new." Paz's way of saying no was to get out of the fast lane and take a stroll. "We must turn off the television, and go out for a walk, losing ourselves in the city or in our thoughts. To escape we need to be still and silent for a while, to stop being images, to become again what we are: men and women, blood and time." What is the antidote to this "anti-culture" of fragmented narratives, perpetual acceleration of change and the transformation of our lives into data? In other words, how do we "learn to be alone" in the age of social media? FRANZEN: It's very difficult, because you feel like you're being left out of the action. Paz said, "walk down the street." But if you walk down the street nowadays, all you see is everyone else hunched over their mobile devices. So it's not even clear that there's much of a world left out there to retreat to. I try to resist nostalgia for the ancients. It's worth remembering how short the average lifespan used to be. But it seems to me that we've arrived at the point where we should be having public conversations about what aspects of technology we want to embrace and what aspects we might want to reject. And I don't mean just information technology. Maybe it's not such a great idea to pump healthy cows with antibiotics. Maybe people will come to their senses about nuclear weapons. Maybe we'll begin to say, "Just because we can do this doesn't mean we should do this." Yes, we can have a world that consists ever more of frenetic interfacing with techno-consumerism. But is that the world we actually want? One thing I wanted to do with the Kraus book -- it has a whole memoir dimension that we're not discussing here -- was to speak to people who are feeling similarly alienated by what's going on. Kraus is an unsympathetic figure in many ways, but it's kind of a revelation to see that he was already worried about the nexus of media and tech and consumerism a hundred years ago. Kraus's world really did end -- something like an apocalypse really did descend on Europe -- but it's almost uncanny how much he seems to be talking about our own historical moment. I'm willing to consider the possibility that I've simply outlived myself. I'm aware of sites for real readers like Goodreads and The Millions, and it may just be perverse of me to feel uncomfortable with the medium that delivers them. But the medium really is the message (and of course Amazon has now bought Goodreads). The kind of communication that I aspire to and that has mattered to me has not come in the form of blog entries or 140 character messages. It has come in a stiller way, through the experience of complete works. Through complete books or even complete TV series -- how I love Friday Night Lights! -- that happily suspend me for hours, undistracted by the need to check in with the rest of the world. I think there are still a lot of people who find the new technology seductive and addictive but somehow unsatisfying. It's a pleasing totalitarianism, but a totalitarianism nonetheless. It's an incredibly difficult and defiant act simply not to tweet! WORLDPOST: But such a public conversation can only take place where most people aren't -- not in a book but on line? FRANZEN: It's hard not to sound elitist when you make that argument. I'm always at pains to point out that the people who aren't satisfied with today's state of affairs aren't just the ones with money or who are well educated. I suspect there are more serious readers in the country's prisons, and certainly in student slums, than in Silicon Valley or on Wall Street. What's insidious about social media is that you're considered a weird and isolated loner if you're not continually connected. It's an embarrassment to have so few Facebook friends. The peer pressure is immense. In junior high I spent a lot of time eating lunch alone. I feel I'm still that person. And all the other people who ate lunch alone in their own junior highs, who really were subverting the dominant paradigm, whether they liked it or not: those people are my friends for life.